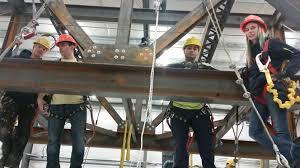 Looking for a career in the construction trades? Opportunities Long Island Apprenticeship Preparation Training program can get you there! Opportunities Long Island is an intensive 240 hour training program which includes OSHA 10, Blueprint Reading, and much more to help prepare you for a career in the building and construction trades. Training is provided at no cost to you! Don't miss out on this great opportunity. Attend an information session on Friday, November 18th at 1 PM . This information session will take place at the Huntington Opportunity Resource Center. For more information please contact Erica Rechner at (631) 348-1170 ext. 316 or the Huntington Opportunity Resource Center at (631) 385-2305.